One of the most recognized and distributed photographs ever is of the earth taken by the crew of the Apollo 17 spacecraft 28,000 miles above where you’re reading this, and was named “The Blue Marble“. 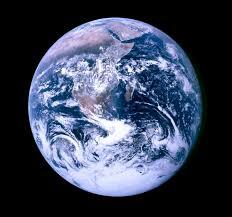 As the photo implies, our earth is indeed blue, with about 70% of it covered by water. Underneath all that blue is the seafloor, one of the most abundant ecosystems on the planet and among the most challenging to study. Across the seabed, gasses rise through sediments along with fluids. One of these gasses is methane, an important greenhouse gas. It is key to understand how changes to the seafloor (both natural and human driven), impact and alter this unique environment, as it can have global implications. Most of the methane (>90%) from the deep subsurface layers of the ocean floor is oxidized (removed) by microbes before it can be released towards the surface of the ocean. However, there are dynamic locations where only 10-30% is removed by resident microbes. Fig 1. (Ruff et al., 2019) Bathymetry and seafloor imaging of HMMV. What is a dynamic location? Well, it turns out mud volcanoes are a good answer: sites of focused seepage of mud, water, oil and gas (mainly methane). Although they aren’t quite as exciting as they might sound (no giant globs of mud spewing from an underwater caldera), they emit 27 Tg (million tons) of methane annually. In a study last week, Ruff and colleagues, focused on understanding why microbial communities at mud volcanoes are distinct from other locations on the seafloor where methane is released. Specifically, Ruff et al., looked at the development of microbial communities at the active Håkon Mosby Mud Volcano (HMMV) on the Norwegian continental slope at 1,250 meters depth. For a short, but informative video they put out about the study and a glimpse of HMMV, check this out. Fig 2. (Ruff et al., 2019.) Biogeochemistry of surface sediments of HMMV and a reference site outside of the mud volcano. Samples were obtained using the remotely operated vehicle (ROV) Quest, and either a TV-guided Multicorer or push core. Observations revealed that the site was characterized by an average mud flow velocity of 0.4 meters per day (woah, slow down!). HMMV was a good study location, and Ruff et al., looked at freshly erupted muds (sometime within the year prior to sampling) as well as other zones representing regions that had had longer times for microbial communities to establish (either 1-2 or 2-5 years). “The observed functional succession provides insights into the response time and recovery of complex microbial communities to natural and anthropogenic disturbances in the deep sea.” – Ruff et al., 2019. The authors identified a distinct shift in microbe structure and function the further away the community was from the eruptive center. They observed that “richness, evenness, and cell numbers of the entire microbial community increased up to tenfold” further from the center. Along with the changes in microbial community diversity, they also observed up to 4x as many sequences with genes from anaerobic methanotrophic and thiotrophic microbes. Fig 3. (Ruff et al., 2019) Alpha and beta diversity, and total cell abundance across HMMV sediments. 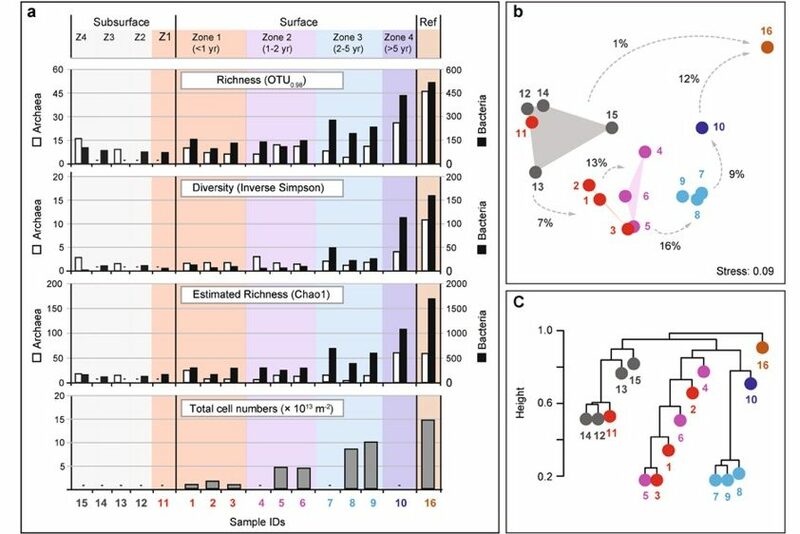 To assess microbial communities, they extracted DNA from sediments and then amplified the 16S rRNA gene with archaeal and bacterial specific primers. 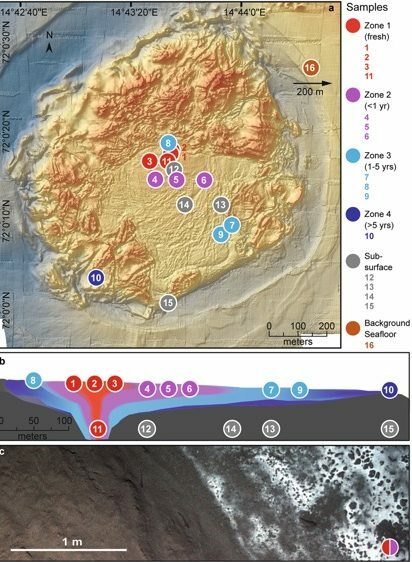 At the site of the most recent eruption, the authors observed that there was only a thin surface layer of bacteria present on the seafloor that was able to oxidize methane. However, farther from the eruption, at sites that had more time to develop, there were distinct changes. The authors attempted to unravel some of the many mysteries of the deep to understand how unique bacterial communities develop, function, and change where methane is abundant. It is not easy to take an ROV to the bottom of the ocean, at the same time, it is essential to better understand more of the vast seafloor that covers the majority of the planet and how deep sea trawling or other activities might have unexpected adverse effects. Painting a better picture of how unique, methane loving microbial communities develop over time is important so that in the future we can understand how natural and human-induced seafloor alterations and disturbances will affect the release of this greenhouse gas. 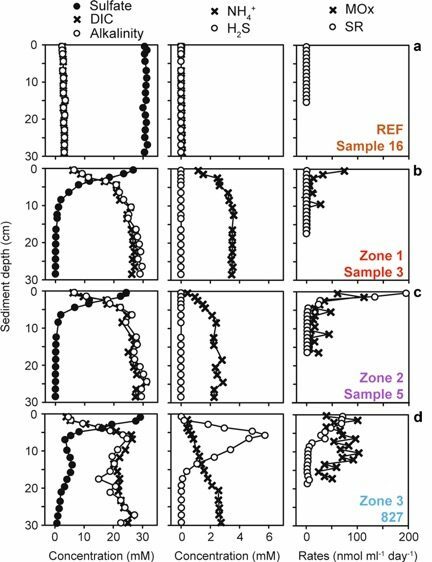 Just because we can’t easily look at seafloor, doesn’t mean that there isn’t a bunch of stuff happening down under the surface of the sea, and this study demonstrates that it takes multiple years for complex methane oxidizing communities to develop. Understanding how disturbing these ecosystems could impact our blue marble is important as humans are ever expanding their reach into the ecosystems around us..
Petsko, G.A., 2011. The blue marble. Genome biology, 12(4), p.112. Ruff, S.E., Felden, J., Gruber-Vodicka, H.R., Marcon, Y., Knittel, K., Ramette, A. and Boetius, A., 2019. In situ development of a methanotrophic microbiome in deep-sea sediments. The ISME journal, 13(1), p.197. This entry was posted in community, community ecology, ecology, microbiology and tagged deep sea, greenhouse gas, methane, mud volcanoes. Bookmark the permalink.